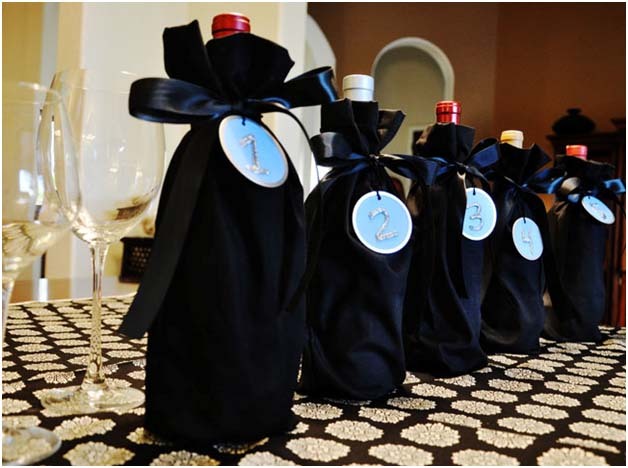 Blind Wine Tastings are a great way to gather your closest friends for an evening of relaxation and at the same time enjoy some new wines by diversifying your pallete. 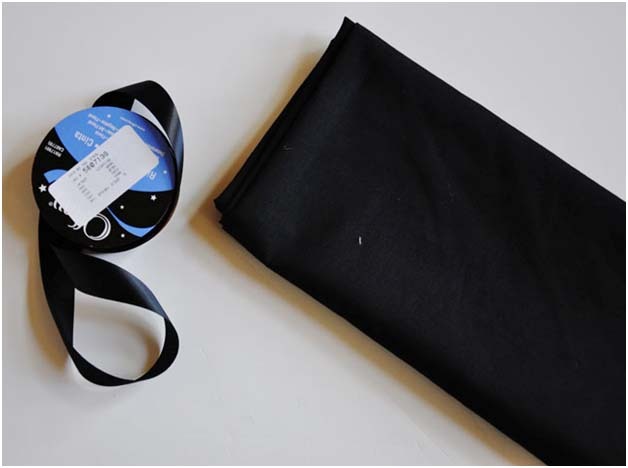 Cover your vino in style with these easy black tuxedo bags to hide the contents and keep your guests guessing. 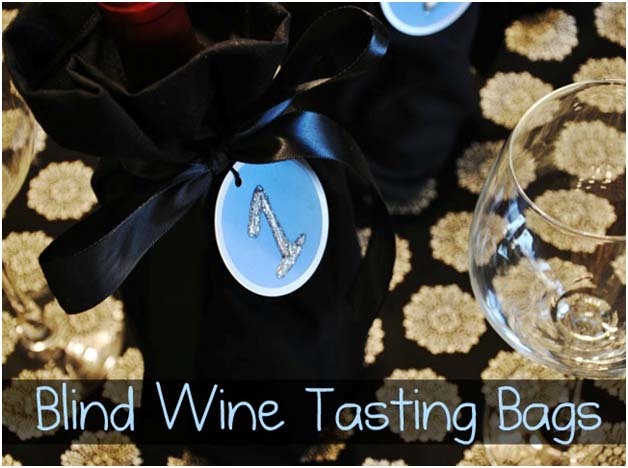 For more info on Blind Wine Tasting Party's you can visit my blog, Living with Punks. 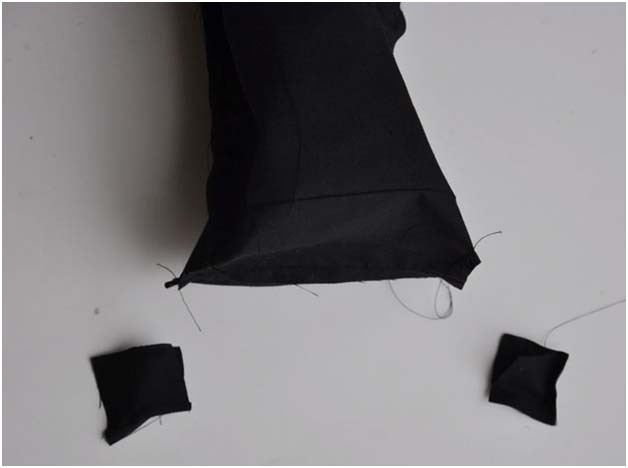 For each bag: Cut 2 pieces at 7"x15"
Cut your ribbon to 36" and place the center of it 4.5" down on one of the pieces. 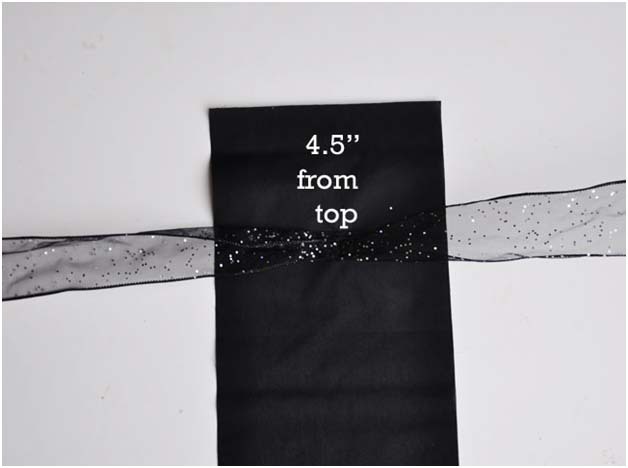 Wrong side of ribbon to right side of fabric. Sew in place. Sandwich the two pieces right sides together and pin. 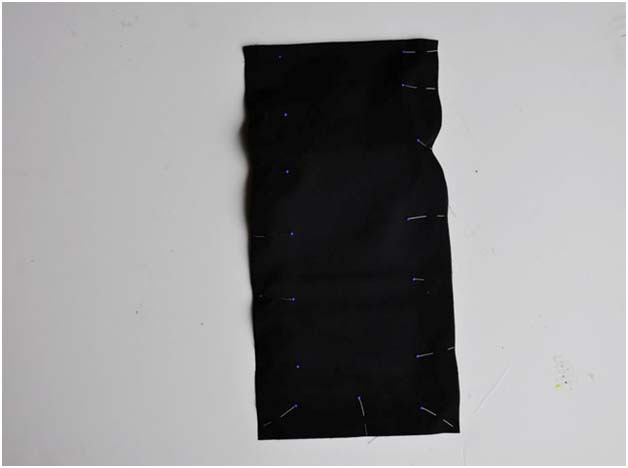 The ribbon you just sewed is inside. Take each corner and create a triangle. Measure up 1.5" and mark. 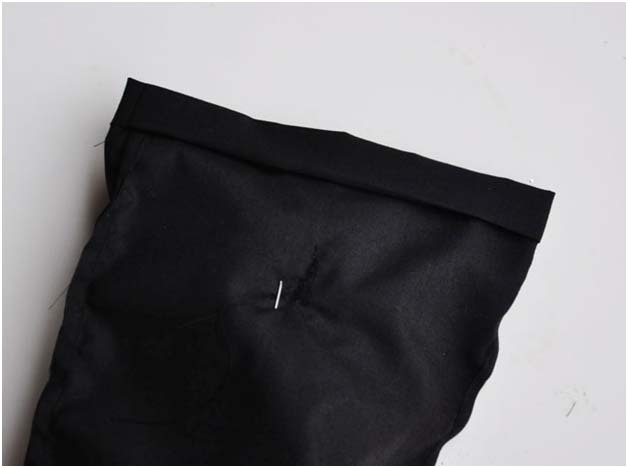 Sew across the mark. 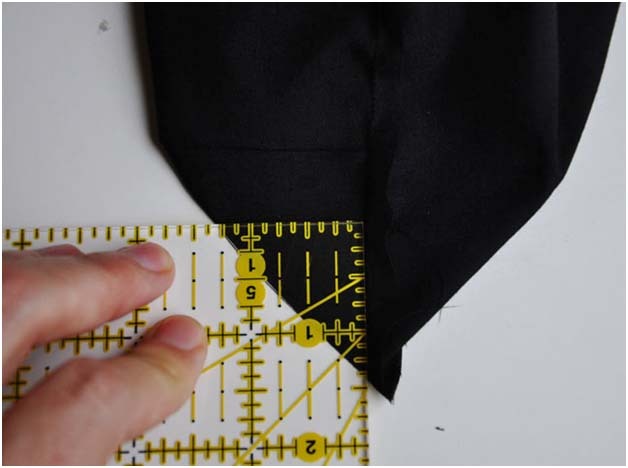 To hem the top, fold over 1/2 inch and then again an inch. Press and edge stitch the opening to finish. Turn right side out. Sip your bottle in and tie the ribbon around the neck to close up. 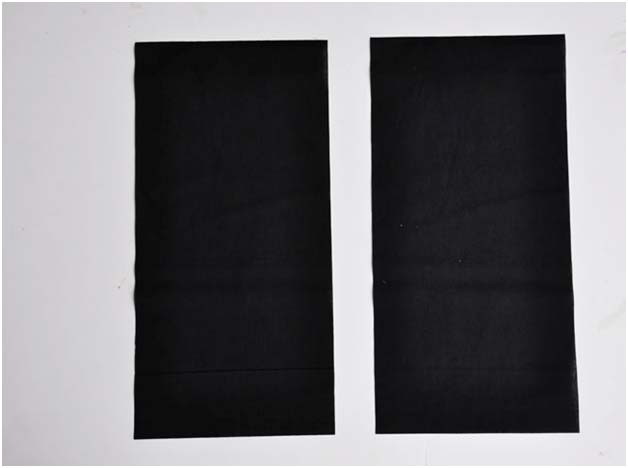 Make as many as you need and label each bag with an identifying number. Enjoy!